Insights seeks to provide new perspectives and knowledge on an increasingly complex, uncertain and interconnected world. Concise, lively and authoritative, these books will, through different modes of interpretation, put a wide range of country, regional and international developments into the global context. 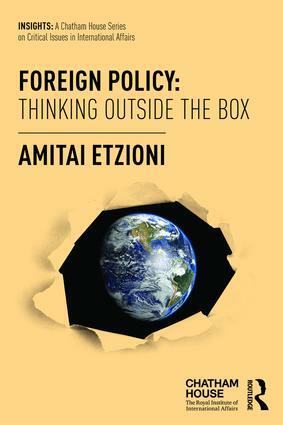 Focusing on topical issues within key policy areas such as Health, Security, Economics, Law and the Environment, books will be accessible in style, written by leading experts—both academic and practitioner—anticipating trends and illuminating new ideas and thinking. Insights will be of great interest to all those seeking to develop a deeper understanding of the policy challenges and choices facing decision-makers, both in the academic and practitioner world and the more general readership.